King-Sized Striped Duvet Cover Set Just $17.99! Down From $60! You are here: Home / Great Deals / Amazon Deals / King-Sized Striped Duvet Cover Set Just $17.99! Down From $60! Hurry over to Amazon to score this King-Sized Striped Duvet Cover Set for just $17.99 down from $59.99 PLUS FREE shipping with Amazon Prime or for orders over $25! 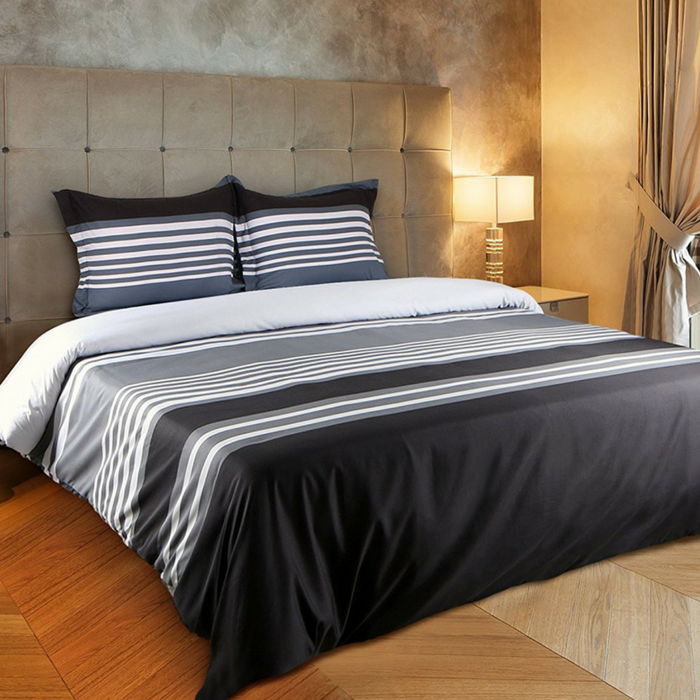 Dress your bed lavishly with this stripped duvet set. It coordinates easily with your existing bedding set. Now you can conveniently buy basic bedding in a single package rather than purchasing each item separately. Bring soft and cozy feel to your bed with this printed brushed stripped microfiber Duvet set. The classic 3 piece Duvet set is designed with your comfort in mind. Made of finest brushed microfiber yarns, it creates a new standard in softness and breath ability that makes it really hard to get out of bed in the morning.